These twin craters, amongst the most emblematic sites of the Chaîne des Puys, show increasing signs of forestry encroachment. This search to achieve a balance with the vegetation uses a multi-faceted approach involving animal grazing, complex land management and landscaping via strategic tree felling. 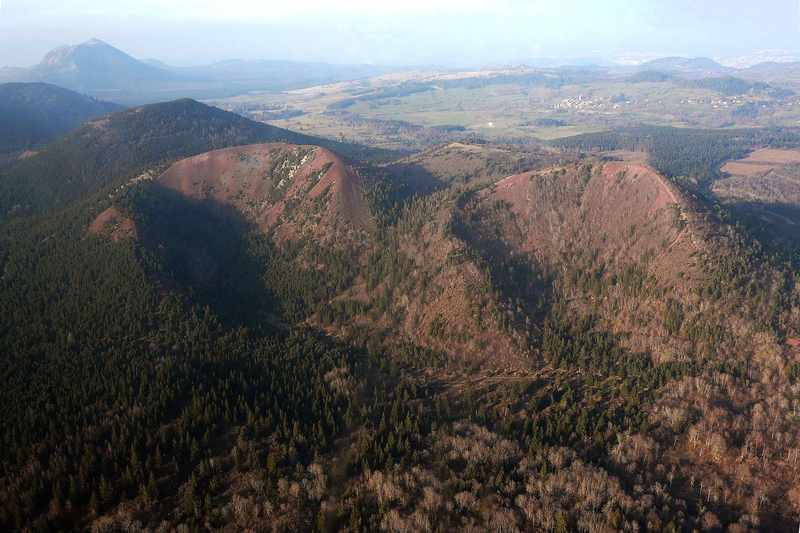 This planning is carried out in collaboration with the Auvergne Volcanoes Natural Park, VetAgro Sup (agricultural institute for higher education), the local communes of Saint-Genès-Champanelle and Nébouzat, local farmers and shepherds, as well as all the land owners and rights-owners of the delimited and non-delimited land property. 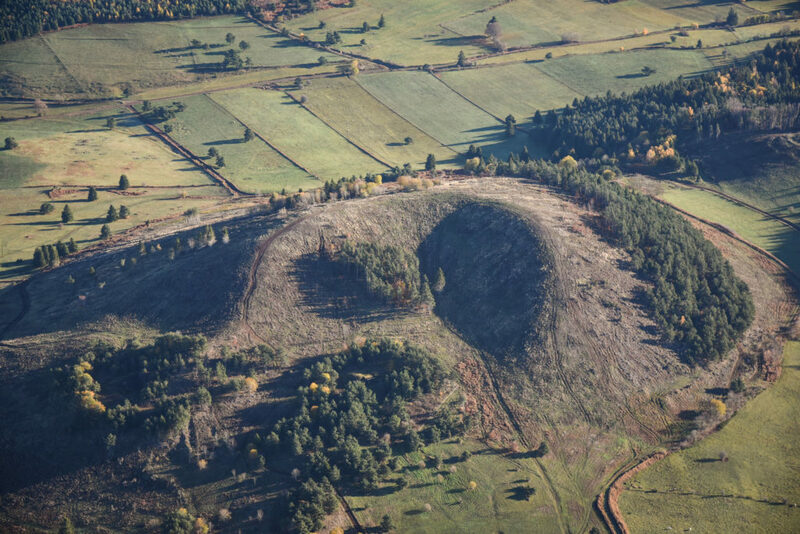 Following the initiative of the Joint Association for Forestry Management for the Volvic area and the State forestry association (ONF), essential felling on this volcano will be decided by a landscape analysis and will be carried out using a combination of techniques which encourage preservation of the soils and the biodiversity, as well as reinforcing natural regeneration of the forest and retaining the diversity of tree species. Under another aspect of this multi-disciplinary approach to enhance the geological outlines, the puys de Jumes and Coquille have undergone a landscape study carried out by an expert from the Grands Sites de France network, involving land owners, managers, local associations, etc. The central part of the Chaîne des Puys is the most highly visited in terms of hikers. In order to reduce the pressure on this relatively fragile sector and to evaluate the visitor numbers to sites open to hikers, eco-counters have been set up at the main sites in the Chaîne des Puys. The data collected will be used to measure the impact of different projects already in place, and to help direct future projects. Felling and chipping of Scots pines, the creation of a car park and a walking circuit with signage, animal grazing. Deforestation of the crater and clearance of the cone, creation of a ‘discovery’ path up the volcano, setting up of eco-counters. One of the objectives of the management plan in terms of transport within the Chaîne des Puys is to reduce circulation on the roads and the impact of roadside parking by improving public transport and parking areas. 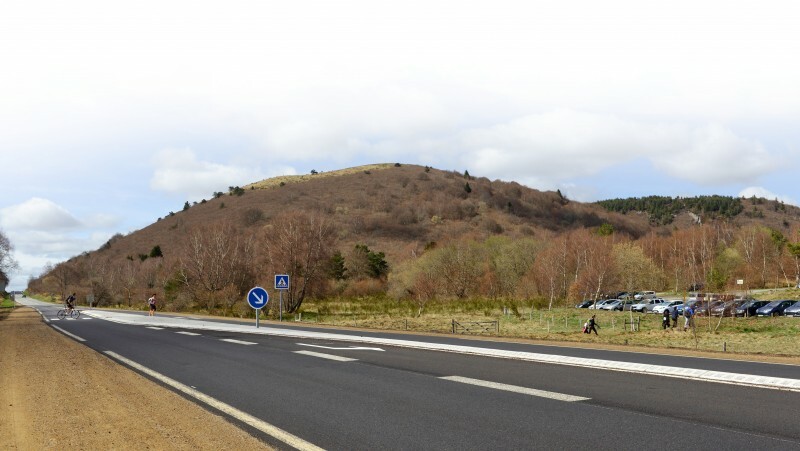 Several measures have been taken since 2013: elimination of inappropriate roadside parking at the Col des Goules in association with improvements to the car parking area, increase in frequency of the public bus service from Clermont-Ferrand, the creation of a cycling circuit for tourists, etc.